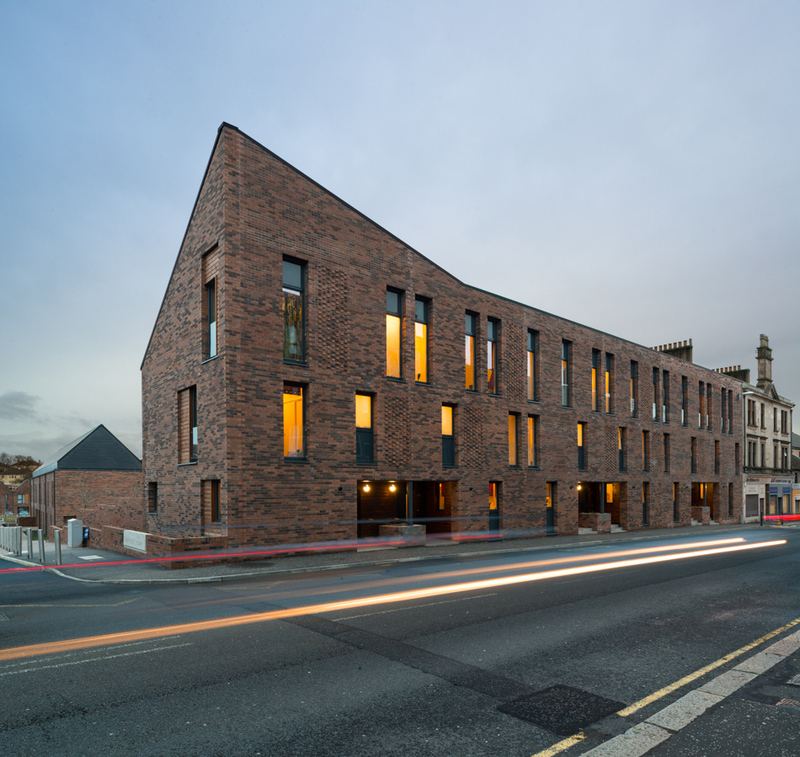 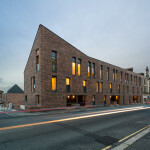 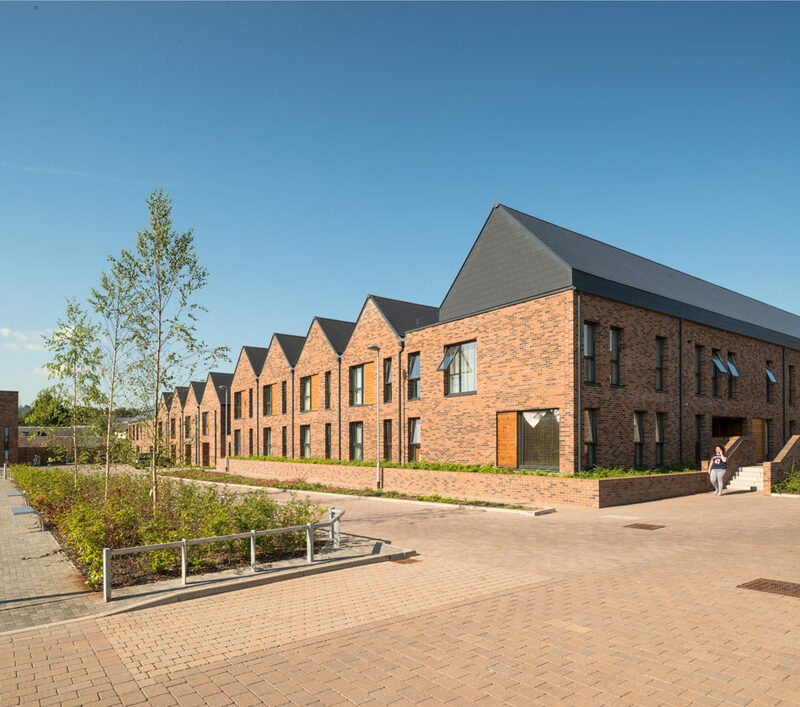 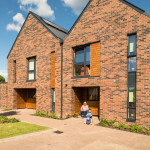 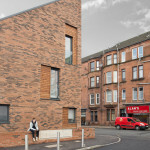 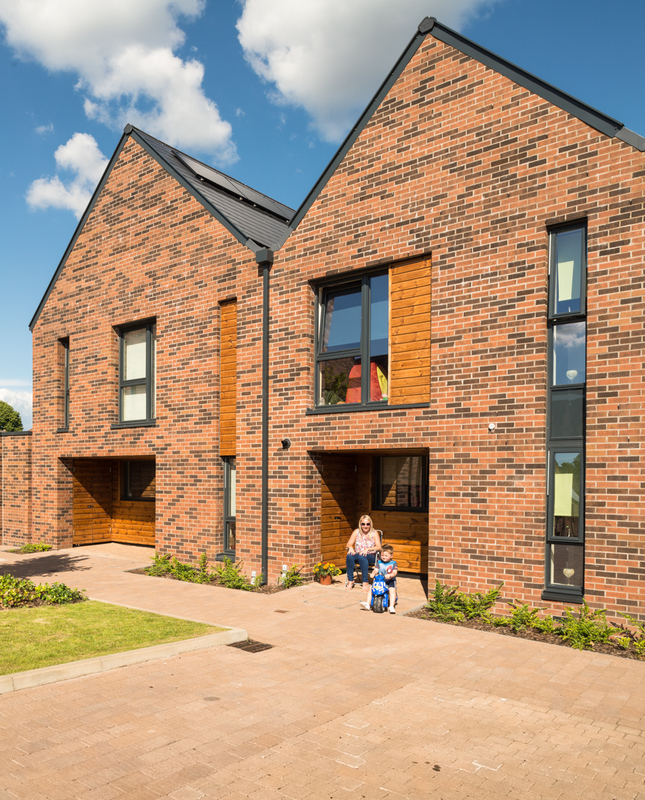 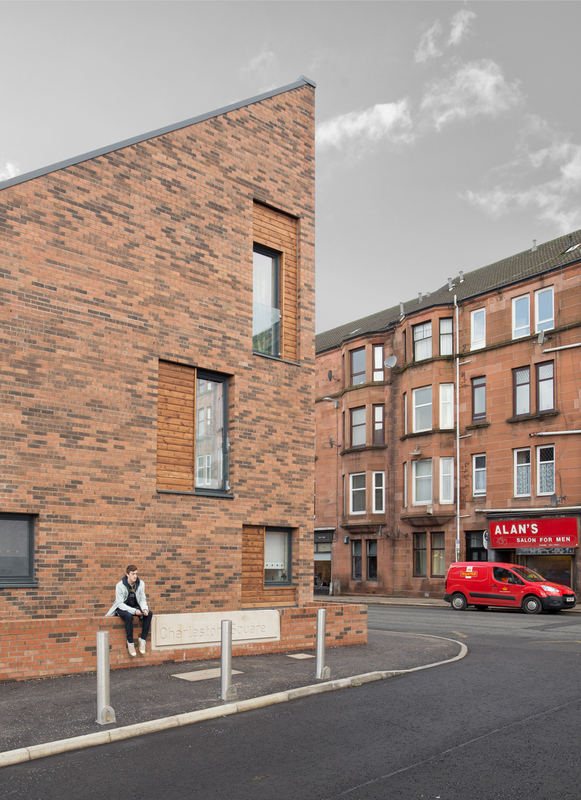 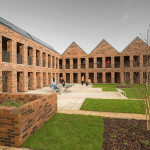 Photographed in 20i4 after completion this design by FBN Architects, integrates terraced housing, townhouses and supported housing accommodation within a large urban site in Paisley. 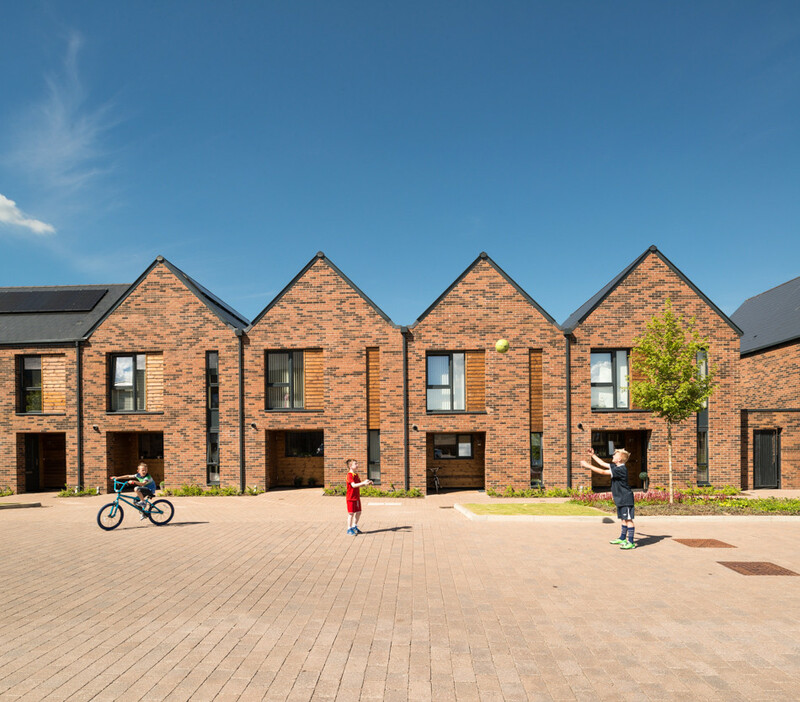 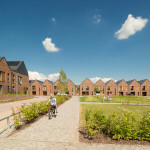 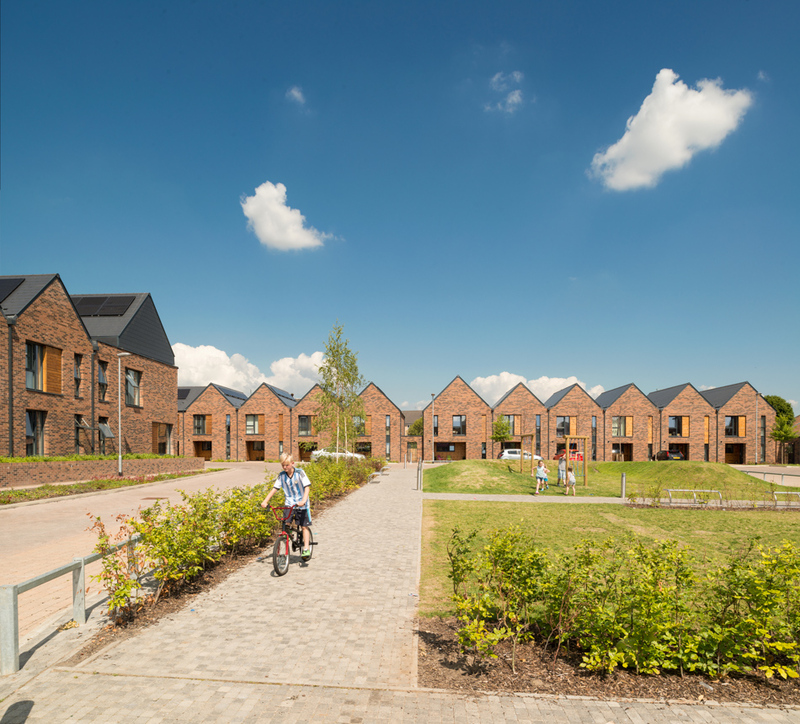 Both the supported housing element of the project and the majority of mainstream housing overlook landscaped courtyards which greatly enhance the environment for residents, and contribute to a shared sense of ownership and belonging. 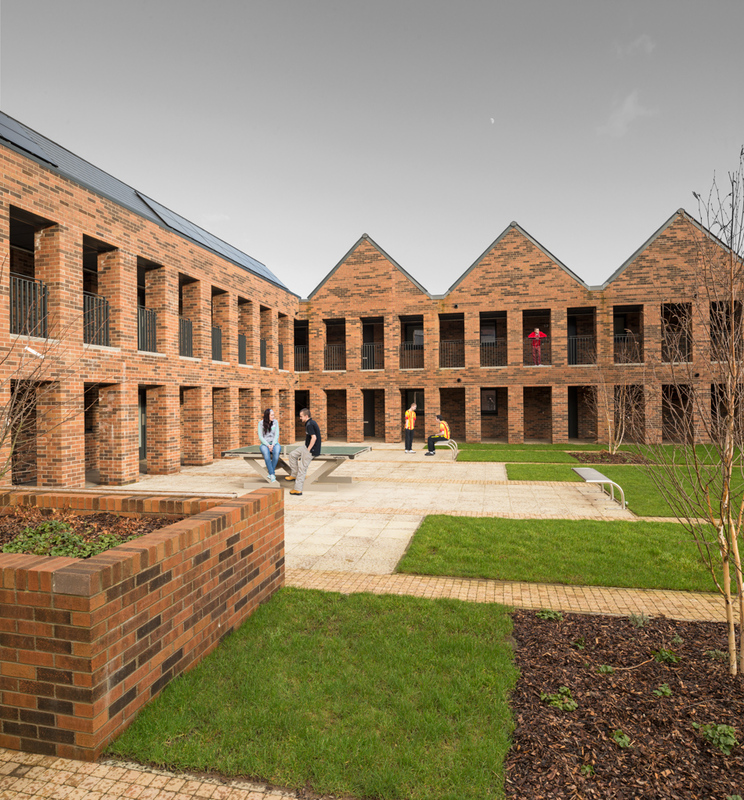 A restrained pallete of materials clearly works well, yet the crisp detailing and use of brick has maintained strong visual characteristics to the homes.